A group of prominent citizens has doubted Prime Minister Narendra Modi’s intention to fight black money by demonetizing Rs 1000 and 500 notes, saying, instead of punishing those responsible for Rs 1.14 lakh crore of bad debts, the Government of India has “waived” these over the last 3 years. Those who have signed the statement include prominent economist Prof Prabhat Patnaik, well-known Supreme Court advocate Prashant Bhushan, top right to information (RTI) activists and Magsaysay award winners Aruna Roy Nikhil Dey, top Dalit rights activist and Magsaysay award winner Bezwada Wilson, and National Alliance of People’s Movement (NAPM) activist Meera Sanghamitra, among others. 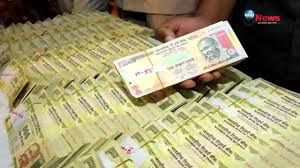 Pointing out that experts, “including a former RBI Governor and the current chief economist of the World Bank”, have disputed the government move, the statement says, “86% of currency in circulation is in Rs 500 and Rs 1000 notes” and “97% of all transactions by volume are done in cash”.